Remember this? On 7th September we took part in a national day of action. Today, we’ve received our first success! 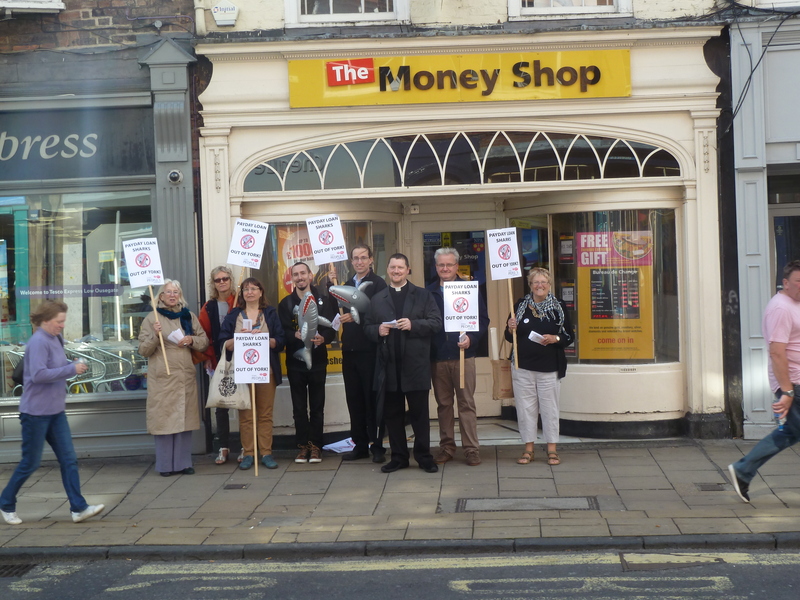 Nearly 3 months have passed since our Loan Shark protest outside two local payday lenders, and more than ten years since British campaigners first got to work on the issue. But today the government finally announced the first concrete measures to combat the growing problem of unaffordable loans. Crucially, its not just a cap on interest rates but includes all charges levied as part of the loan. This announcement is long over-due and no where near sufficient, but it means thousands will be shielded from the worst excesses. Crucially, this is a policy on which the Conservatives have never previously been supportive. It shows that constant highlighting of an issue and wide-spread public pressure can still force governments to act in our interests, rather than the loan companies like Wonga, who’s owner backed the party financially in 2010. This entry was posted in Loan Sharks by Graham Martin. Bookmark the permalink.